Briant G. Mildenhall joined Katz Wright Fleming Dodson & Mildenhall LLC in 2009. He focuses in personal injury civil litigation involving trucking, automobile, aviation, and premises liability accidents. He was admitted to practice law in Georgia in 2007. 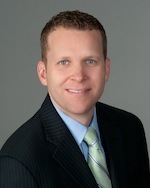 Prior to joining our practice, Mr. Mildenhall worked for a defense firm in Atlanta.